Hmmmmmm. Is it really St. Patrick’s Day already? What should we talk about? 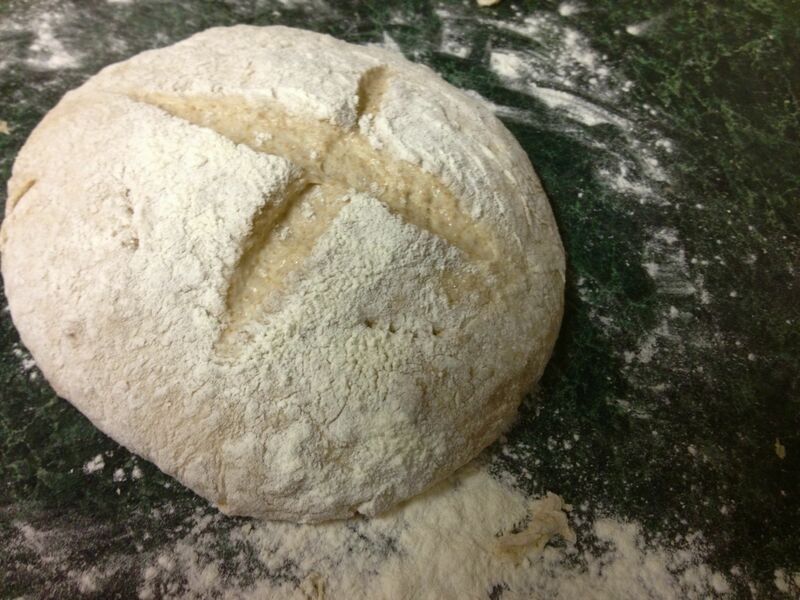 Irish Soda Bread? NOBODY will be writing about THAT. Irish Stew? Ditto. Irish ham? Colcannon? Guinness? Whiskey? The Corned Beef that actual Irish people don’t eat? Yawn. I have been working on some whole grain/wheat projects and spent a couple of weeks learning about and baking some authentic Irish soda breads. So far, one big thing I have learned is that aside from brief curiosity, my taste-testing friends prefer their Americanized fiction of Irish traditions much more than the real, farmstead and/or poverty-born deal. Which fact has annoyed some enough to create an entire Society for the Preservation of Irish Soda Bread with a very entertaining website and Facebook page. Call me odd, but I love the rustic character of irish soda bread. 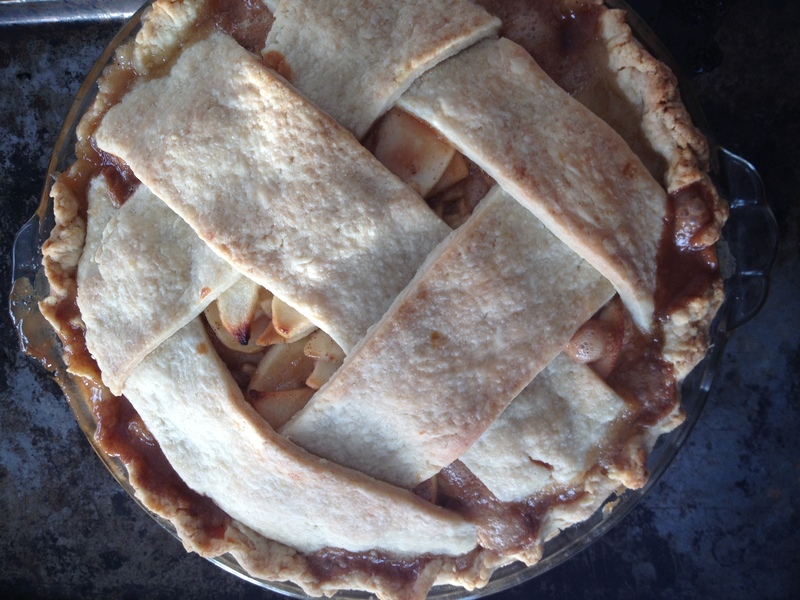 With very few ingredients, the freshness of the wheat flour is critical. A perfect trifecta of substantial whole wheat, rich, homemade butter & summer fresh peach jam. Who needs raisins? The real beauty of Irish farmstead food is that yes, it is simple, but because the home-raised and/or foraged ingredients can be so pure, fresh, wholesome and full of flavor, everyday food carefully prepared can be sublime. Of course we know that Ireland has had her struggles with shortage and famine. Simple things we Americans take for granted, like raisins and sugar for your soda bread would have been special luxuries for too many Irish. The last couple years I wrote about some pretty serious Irish topics, but really, who are we kidding? St. Patrick’s Day in America is just an excuse to misbehave, have celebrations, skip school, get rowdy and drink beer. Green beer. Lots of it, right? You first; No you! It’s A Pig-Jam! everyone’s afraid to jump off the trailer after a move. No point in rushing them, pigs operate on their own time. One day later, they’re jumping on and off with gusto. Around here, those best able to devote themselves to the proper celebration of St. Patrick’s Day are the pigs. I know, I’ve been delinquent about filling you in on all the recent porky details, it’s true. Raucus? Bawdy? Chaotic? Enthusiastic? Lawless, Loutish, Wild, uproarious, Unruly, Disorderly, Calamitous, Boisterous, Unrestrained and Pure-Gleeful-Mayhem? I could go on, but I’m pretty sure you know how to use a thesaurus without my help. Let’s just say there’s face stuffing, racing in circles until they fall down, snuffling, brawling, barking, chasing, stealing, biting, snuggling, and some general rooting, mayhem & destruction. 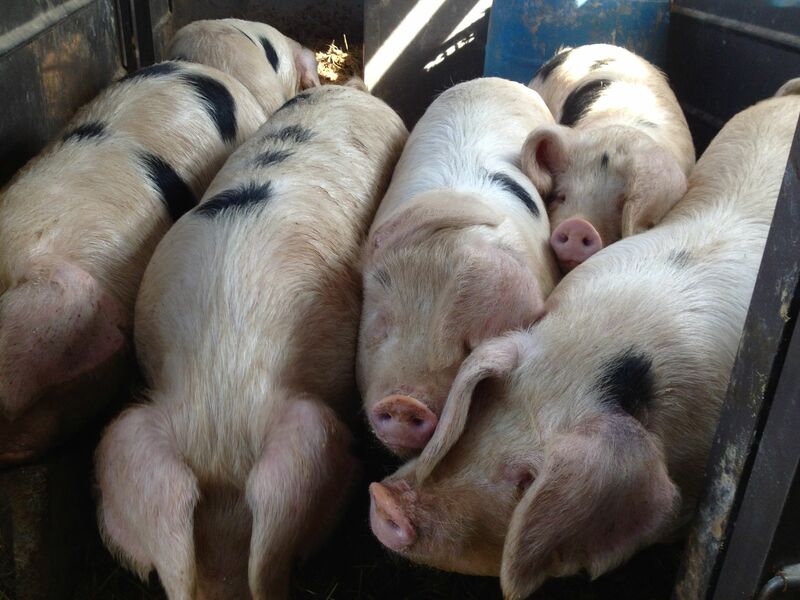 Then, revelry over, the pile of snoring pigs catches up on their beauty sleep. Next comes the big, greasy morning-after breakfast (remember those?) to be followed by another power nap. The best nap ever they tell me. The restorative power of that grand nap gives them the energy they need to get up and do it all over again. Every. Single. Day. It’s rough being a pig around here, I don’t know how they do it. Are those Old Spot X Landrace? Close, they’re purebred Gloucestershire Old Spots. 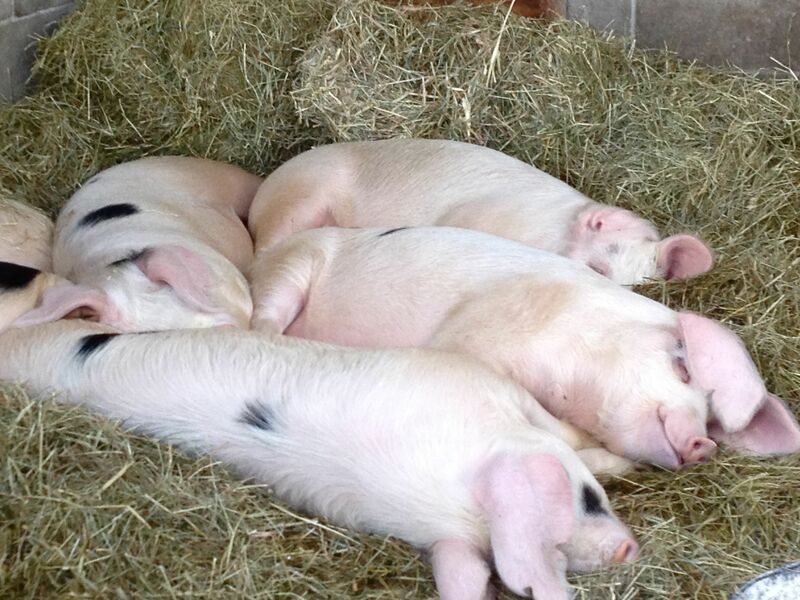 That pile of sleeping pigs is adorable!